Boasts 26 Highway MPG and 20 City MPG! This Chevrolet Colorado delivers a Gas I4 2.5L/150 engine powering this Automatic transmission. WORK TRUCK PREFERRED EQUIPMENT GROUP includes standard equipment, WHEELS, 16 X 7 (40.6 CM X 17.8 CM) ULTRA SILVER METALLIC STEEL (STD), TRANSMISSION, 6-SPEED AUTOMATIC, HMD, 6L50 (STD). *This Chevrolet Colorado Comes Equipped with These Options *TIRES, P265/70R16 ALL-SEASON, BLACKWALL (STD), TIRE, COMPACT SPARE T175/80R18, BLACKWALL (STD), SUMMIT WHITE, SEATS, FRONT BUCKET (STD), REAR AXLE, 4.10 RATIO, PICKUP BOX (STD), ONSTAR AND CHEVROLET CONNECTED SERVICES CAPABLE, JET BLACK/DARK ASH, VINYL SEAT TRIM, GVWR, 5400 LBS. (2449 KG) (STD), FLOOR COVERING, FULL-LENGTH BLACK VINYL. * Stop By Today *Test drive this must-see, must-drive, must-own beauty today at Stingray Chevrolet, 2002 N Frontage Rd, Plant City, FL 33563. Boasts 26 Highway MPG and 20 City MPG! This Chevrolet Colorado delivers a Gas I4 2.5L/150 engine powering this Automatic transmission. WORK TRUCK PREFERRED EQUIPMENT GROUP includes standard equipment, WHEELS, 16 X 7 (40.6 CM X 17.8 CM) ULTRA SILVER METALLIC STEEL (STD), TRANSMISSION, 6-SPEED AUTOMATIC, HMD, 6L50 (STD). *This Chevrolet Colorado Comes Equipped with These Options *TIRES, P265/70R16 ALL-SEASON, BLACKWALL (STD), TIRE, COMPACT SPARE T175/80R18, BLACKWALL (STD), SUMMIT WHITE, SEATS, FRONT BUCKET (STD), REAR AXLE, 4.10 RATIO, PICKUP BOX (STD), ONSTAR AND CHEVROLET CONNECTED SERVICES CAPABLE, JET BLACK/DARK ASH, VINYL SEAT TRIM, GVWR, 5400 LBS. (2449 KG) (STD), FLOOR COVERING, FULL-LENGTH BLACK VINYL. * Visit Us Today *Test drive this must-see, must-drive, must-own beauty today at Stingray Chevrolet, 2002 N Frontage Rd, Plant City, FL 33563. Scores 26 Highway MPG and 20 City MPG! This Chevrolet Colorado boasts a Gas I4 2.5L/150 engine powering this Automatic transmission. WORK TRUCK PREFERRED EQUIPMENT GROUP includes standard equipment, WHEELS, 16 X 7 (40.6 CM X 17.8 CM) ULTRA SILVER METALLIC STEEL (STD), TRANSMISSION, 6-SPEED AUTOMATIC, HMD, 6L50 (STD). * This Chevrolet Colorado Features the Following Options *TIRES, P265/70R16 ALL-SEASON, BLACKWALL (STD), TIRE, COMPACT SPARE T175/80R18, BLACKWALL (STD), SUMMIT WHITE, SEATS, FRONT BUCKET (STD), REAR AXLE, 4.10 RATIO, PICKUP BOX (STD), ONSTAR AND CHEVROLET CONNECTED SERVICES CAPABLE, JET BLACK/DARK ASH, VINYL SEAT TRIM, GVWR, 5400 LBS. (2449 KG) (STD), FLOOR COVERING, FULL-LENGTH BLACK VINYL. * Stop By Today *Live a little- stop by Stingray Chevrolet located at 2002 N Frontage Rd, Plant City, FL 33563 to make this car yours today! Boasts 26 Highway MPG and 20 City MPG! This Chevrolet Colorado delivers a Gas I4 2.5L/150 engine powering this Automatic transmission. WORK TRUCK PREFERRED EQUIPMENT GROUP includes standard equipment, WHEELS, 16 X 7 (40.6 CM X 17.8 CM) ULTRA SILVER METALLIC STEEL (STD), TRANSMISSION, 6-SPEED AUTOMATIC, HMD, 6L50 (STD). * This Chevrolet Colorado Features the Following Options *TIRES, P265/70R16 ALL-SEASON, BLACKWALL (STD), TIRE, COMPACT SPARE T175/80R18, BLACKWALL (STD), SUMMIT WHITE, SEATS, FRONT BUCKET (STD), REAR AXLE, 4.10 RATIO, PICKUP BOX (STD), ONSTAR AND CHEVROLET CONNECTED SERVICES CAPABLE, JET BLACK/DARK ASH, VINYL SEAT TRIM, GVWR, 5400 LBS. (2449 KG) (STD), FLOOR COVERING, FULL-LENGTH BLACK VINYL. * Visit Us Today *For a must-own Chevrolet Colorado come see us at Stingray Chevrolet, 2002 N Frontage Rd, Plant City, FL 33563. Just minutes away! Boasts 26 Highway MPG and 20 City MPG! This Chevrolet Colorado boasts a Gas I4 2.5L/150 engine powering this Automatic transmission. WT CONVENIENCE PACKAGE includes (ATG) Remote Keyless Entry, (UTJ) theft-deterrent system, (K34) electronic cruise control and (PPA) EZ-Lift tailgate, WORK TRUCK PREFERRED EQUIPMENT GROUP includes standard equipment, WHEELS, 16 X 7 (40.6 CM X 17.8 CM) ULTRA SILVER METALLIC STEEL (STD). * This Chevrolet Colorado Features the Following Options *TIRES, P265/70R16 ALL-SEASON, BLACKWALL (STD), TIRE, COMPACT SPARE T175/80R18, BLACKWALL (STD), THEFT-DETERRENT SYSTEM, UNAUTHORIZED ENTRY, TAILGATE, EZ-LIFT AND LOWER, SUMMIT WHITE, SEATS, FRONT BUCKET (STD), REMOTE KEYLESS ENTRY, EXTENDED RANGE, REAR AXLE, 4.10 RATIO, PICKUP BOX (STD), ONSTAR AND CHEVROLET CONNECTED SERVICES CAPABLE. 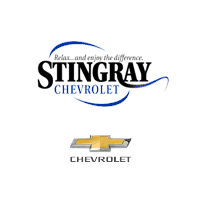 * Stop By Today *Stop by Stingray Chevrolet located at 2002 N Frontage Rd, Plant City, FL 33563 for a quick visit and a great vehicle! Delivers 26 Highway MPG and 20 City MPG! This Chevrolet Colorado delivers a Gas I4 2.5L/150 engine powering this Automatic transmission. WT CONVENIENCE PACKAGE includes (ATG) Remote Keyless Entry, (UTJ) theft-deterrent system, (K34) electronic cruise control and (PPA) EZ-Lift tailgate, WORK TRUCK PREFERRED EQUIPMENT GROUP includes standard equipment, WHEELS, 16 X 7 (40.6 CM X 17.8 CM) ULTRA SILVER METALLIC STEEL (STD). *This Chevrolet Colorado Comes Equipped with These Options *TIRES, P265/70R16 ALL-SEASON, BLACKWALL (STD), TIRE, COMPACT SPARE T175/80R18, BLACKWALL (STD), THEFT-DETERRENT SYSTEM, UNAUTHORIZED ENTRY, TAILGATE, EZ-LIFT AND LOWER, SUMMIT WHITE, SEATS, FRONT BUCKET (STD), REMOTE KEYLESS ENTRY, EXTENDED RANGE, REAR AXLE, 4.10 RATIO, PICKUP BOX (STD), ONSTAR AND CHEVROLET CONNECTED SERVICES CAPABLE. * Stop By Today *For a must-own Chevrolet Colorado come see us at Stingray Chevrolet, 2002 N Frontage Rd, Plant City, FL 33563. Just minutes away! Scores 26 Highway MPG and 20 City MPG! This Chevrolet Colorado boasts a Gas I4 2.5L/150 engine powering this Automatic transmission. WT CONVENIENCE PACKAGE includes (ATG) Remote Keyless Entry, (UTJ) theft-deterrent system, (K34) electronic cruise control and (PPA) EZ-Lift tailgate, WORK TRUCK PREFERRED EQUIPMENT GROUP includes standard equipment, WHEELS, 16 X 7 (40.6 CM X 17.8 CM) ULTRA SILVER METALLIC STEEL (STD). * This Chevrolet Colorado Features the Following Options *TIRES, P265/70R16 ALL-SEASON, BLACKWALL (STD), TIRE, COMPACT SPARE T175/80R18, BLACKWALL (STD), THEFT-DETERRENT SYSTEM, UNAUTHORIZED ENTRY, TAILGATE, EZ-LIFT AND LOWER, SUMMIT WHITE, SEATS, FRONT BUCKET (STD), REMOTE KEYLESS ENTRY, EXTENDED RANGE, REAR AXLE, 4.10 RATIO, ONSTAR AND CHEVROLET CONNECTED SERVICES CAPABLE, JET BLACK/DARK ASH, VINYL SEAT TRIM. * Stop By Today *You've earned this- stop by Stingray Chevrolet located at 2002 N Frontage Rd, Plant City, FL 33563 to make this car yours today! Delivers 24 Highway MPG and 17 City MPG! This Chevrolet Colorado boasts a Gas V6 3.6L/222 engine powering this Automatic transmission. WT CONVENIENCE PACKAGE includes (ATG) Remote Keyless Entry, (UTJ) theft-deterrent system, (K34) electronic cruise control and (PPA) EZ-Lift tailgate, WORK TRUCK PREFERRED EQUIPMENT GROUP includes standard equipment, WHEELS, 16 X 7 (40.6 CM X 17.8 CM) ULTRA SILVER METALLIC STEEL (STD). *This Chevrolet Colorado Comes Equipped with These Options *TRAILERING PACKAGE, HEAVY-DUTY includes trailer hitch and 7-pin connector , TIRES, P265/70R16 ALL-SEASON, BLACKWALL (STD), THEFT-DETERRENT SYSTEM, UNAUTHORIZED ENTRY, TAILGATE, EZ-LIFT AND LOWER, SUMMIT WHITE, SEATS, FRONT BUCKET (STD), REMOTE KEYLESS ENTRY, EXTENDED RANGE, REAR AXLE, 3.42 RATIO, ONSTAR AND CHEVROLET CONNECTED SERVICES CAPABLE, LPO, UNDERBODY SHIELD. * Stop By Today *For a must-own Chevrolet Colorado come see us at Stingray Chevrolet, 2002 N Frontage Rd, Plant City, FL 33563. Just minutes away! Boasts 24 Highway MPG and 17 City MPG! This Chevrolet Colorado delivers a Gas V6 3.6L/222 engine powering this Automatic transmission. WT CONVENIENCE PACKAGE includes (ATG) Remote Keyless Entry, (UTJ) theft-deterrent system, (K34) electronic cruise control and (PPA) EZ-Lift tailgate, WORK TRUCK PREFERRED EQUIPMENT GROUP includes standard equipment, WHEELS, 16 X 7 (40.6 CM X 17.8 CM) ULTRA SILVER METALLIC STEEL (STD). *This Chevrolet Colorado Comes Equipped with These Options *TRAILERING PACKAGE, HEAVY-DUTY includes trailer hitch and 7-pin connector , TIRES, P265/70R16 ALL-SEASON, BLACKWALL (STD), THEFT-DETERRENT SYSTEM, UNAUTHORIZED ENTRY, TAILGATE, EZ-LIFT AND LOWER, SUMMIT WHITE, SEATS, FRONT BUCKET (STD), REMOTE KEYLESS ENTRY, EXTENDED RANGE, REAR AXLE, 3.42 RATIO, ONSTAR AND CHEVROLET CONNECTED SERVICES CAPABLE, LPO, UNDERBODY SHIELD. * Visit Us Today *Test drive this must-see, must-drive, must-own beauty today at Stingray Chevrolet, 2002 N Frontage Rd, Plant City, FL 33563.